All The Flowers of Tomorrow, Are in the Seeds of Today Seasons Change. So Can Your Garden! Welcome to Scenic View Greenhouse! 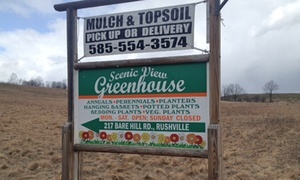 Scenic View Greenhouse is located in Rushville NY. We are family owned and operated and take the time get to know you and can personally help you with everything you need! We love meeting new people and welcoming returning friends. 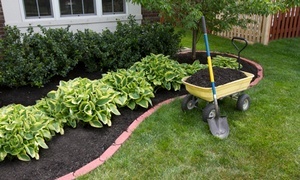 When creating new beds, we recommend using ½ mushroom soil and ½ screened topsoil. Take advantage of warm summer breezes, or light springtime air to plant for the next season. 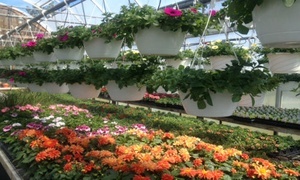 We feature annuals, perennials, planters, hanging baskets, and more. 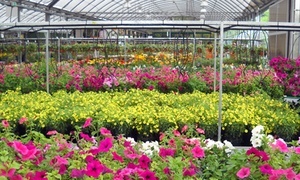 You are welcome to pick up at our greenhouse, or, we are happy to deliver to your home. 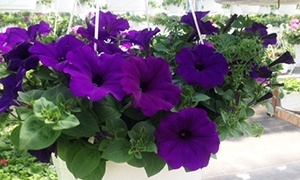 Our potted plants are ideal for adding beautiful décor to churches, businesses, and special events in the region. Transform your yard into a lush landscape! 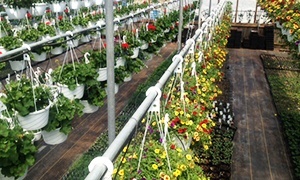 We have a wide variety of plants to pull off wow-worthy results.